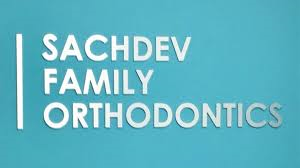 Dr. Ameeta Sachdev, DMD is an orthodontist in Garnerville, NY. She practices orthodontics and dentofacial orthopedics. Her business caters to orthodontic needs of patients where she offers traditional metal braces, clear (aesthetic) braces, and invisalign to correct a variety of conditions such as overbite, crowding, gaps, cross bites, jaw deformities and so on. She sees a wide variety of patients ranging from 7 years to 80 years. It’s never too late to get a beautiful smile!! !